Paul Huntington insists Preston North End won’t feel sorry for themselves despite facing up to more injuries to key players. Preston North End won’t feel sorry for themselves despite facing up to more injuries to key players. Daniel Johnson is due to see a specialist to determine the extent of his problem while Sean Maguire’s hamstring is being assessed after he limped out of the Republic of Ireland’s 0-0 draw with Northern Ireland during the international break. Maguire has already missed the first two months of the season while Johnson has been an increasingly influential figure, starting the last six games. Alex Neil has been blighted by enforced absences with Billy Bodin and Josh Harrop both out for the rest of the campaign with serious knee injuries. For a spell last season the PNE boss was without a host of defenders with the problems further forward this time around. “It’s not been ideal with the luck we’ve had with injuries this season,” said Huntington, likely to start at the heart of the defence against Blackburn Rovers on Saturday. “I don’t think it’s got to the stage it got to last season. “It was more frustrating in a way then because it was all in one position. “This time we’ve had it scattered a bit. “I’ve said to a few people though we had Greg Cunningham out for four months and Sean Maguire out for four months last year and we had other players come in and do a job. “It’s just about us doing our jobs until they come back. 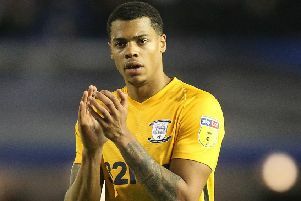 Blackburn are next up at Deepdale this weekend with PNE looking to continue a seven-game unbeaten run that has lifted them up to 18th in the Championship. “It’s three wins and four draws out of the seven unbeaten and that could easily have been five wins and a couple of draws,” said Huntington. “The performances, apart from the Hull game, have probably warranted more. “The last game at Bristol City was a solid base and an important win for us. The derby with Rovers is the first game back after the last international break until March. “The break’s been good,” Huntington said. “It is what it is. It’s the same for everyone. We’ve had a few days off and then worked hard the days we’ve been in.